I have a really nice closet. 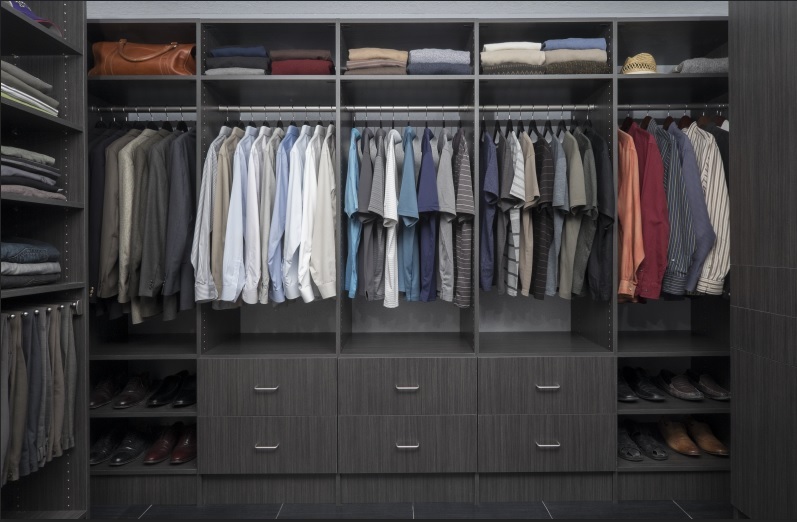 Actually, it is more than a closet…it is an entire room. You see, we have a room in our house that is a combination scrapbooking haven, office, and home for my clothes. While I actually am supposed to use the closet in the room, I have found that the room itself..i.e….the chair, shelves, ironing board, and desk all make perfect homes for such things as t-shirts, shorts, or other clothes that I don’t “have time” to hang up properly. Basically the scrapbooking/home office has become Pastor Mark’s World’s Largest Closet. And I am good with that. But a few months ago something changed. My daughter entered college and she invited me on a tour of her cramped little closet in the back corner of the den that she had been using to house her clothes. As I looked into the tiny abyss that was her closet…I quickly knew why this viewing had been requested. On this day, she wasn’t after my money, she wasn’t after my time my time…..”gasp” …she was after my closet!!! I stood in the midst of a huge decision….closet vs. daughter….and as in most cases where dads and their little girls are concerned….daughter won over closet….in a landslide. As I began moving from mansion closet to shack closet….I had several realizations. 1. I had allowed my closet to get rather messy. 2. I found clothes that I hadn’t seen in years. 3. I found clothes that I loved, but were hidden. I used the downgrade as an opportunity to assess, purge, and re-organize. It has been two months since I have moved into my tiny little closet, and I want to tell you something….”Life is so much better.” I don’t have any room to make a mess. I only have the clothes hanging up that I can actually wear. Since I have limited space, I have to organize, pay attention to where things are, and make a conscious effort to put things where they actually belong. I hate to say it…..but what looked like a downgrade…..was actually an upgrade. The tiny corner closet is the perfect home for my clothes and my college girl is enjoying life in the mansion. Friends…we have been tricked into believing that bigger is better and that more is more. As Christians we have spread ourselves out so thin and piled on so much stuff that sometimes we find it hard to remember what is even important….or we have misplaced the important underneath piles and piles of unnecessary. We think the abundant life is about abundance when indeed in retrospect we find truly that it might just be about…..simplicity. When we work through this realization….we might find that we do have less…but realize that is where abundance can be found. May you focus this week on accessing your choices. May you purge…get rid of the unnecessary things that are clogging up the paths of abundance that God is trying to bless you with. May you re-organize around His purpose and His plan. May you figure out what makes you special…what you are called to do…and may you find the clothes that actually fit. May you upgrade your life. May you work through the fear of letting go and may you simply choose the smaller closet.